Our Company is a fast growing & vibrant agency. We specialize in marketing, listing and selling of new and resale luxury homes, residential properties both sectional title and full title, undeveloped land, new developments, commercial and investment opportunities. 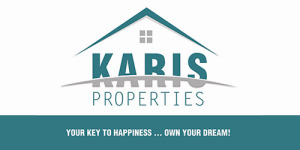 We do not limit ourselves to Sales but also pursue Rentals, on a full administration basis. We are a passionate Team of property professionals that specialize in all the different aspects and fields of real estate. We currently cover the whole of Pretoria East, West and North, Centurion, Midrand, the Moot area and the East Rand. Our Team is extremely driven and resourceful in their methods of approaching every opportunity. We have our property professionals that are the neighbourhood experts in the residential market, then we have our big league commercial specialists as well as our skilled development pro’s.